Photo challenge: anything scarce and singular. 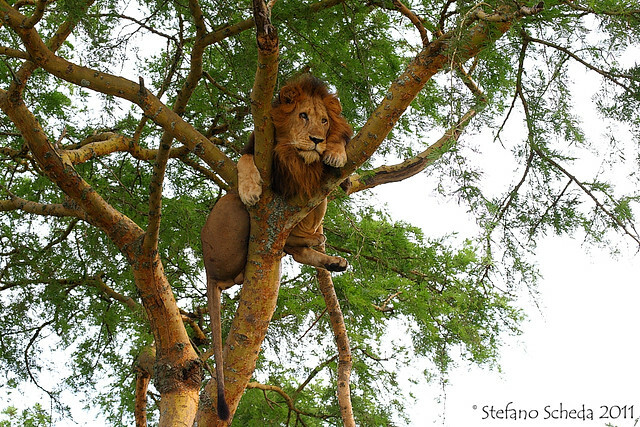 Tree climbing lion – Queen Elizabeth National Park, Uganda. I’ve seen them in Tanzania too – but they are rare! Yes, there are just two groups, this one in Uganda and the one you saw in Tanzania. Never seen a lion up a tree! What a rare picture indeed – perfect for the challenge. What a great shot Stefano! Priceless Stefano – and rare indeed! La migliore immagine di un leone che abbia mai visto sul WP!